This is a developing area of the law. Last year the Tennessee legislature enacted the “Revised Uniform Fiduciary Access to Digital Assets Act,” which grants the personal representative of a decedent the right to access the content of electronic communications sent or received by a decedent, and any other digital assets in which, at death, the decedent had a right or interest. The act also permits a fiduciary of a user to ask the custodian to terminate the user’s account. The Tennessee Attorney's Update on the Revised Uniform Fiduciary Access to Digital Assets Act — is just $107. Rebecca Blair, founder of The Blair Law Firm in Brentwood, has developed an immensely diverse practice in 20 years. She has substantial experience in many aspects of civil litigation, including tort law, insurance coverage litigation, business litigation, and probate litigation. She is listed as a Rule 31 General Civil mediator. She was voted one of the Top 50 Women Lawyers in the Mid-South in 2012 by Mid-South Super Lawyers/Memphis Magazine. She is listed in Best Lawyers in America® for her work in Business Litigation and Personal Injury Litigation. Ms. Blair has been elected by her peers as a Mid-South Super Lawyer in the area of Plaintiff’s Personal Injury Litigation every year since 2009. 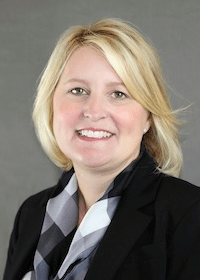 She is a past president of the Tennessee Lawyers’ Association for Women, a past board member of the Nashville Bar Association, and a past chair of the Bench Bar Committee of the Tennessee Judicial Conference.